Karlsruhe, Germany – With 30 years of undivided attention to secure license and entitlement management under its belt, Wibu-Systems chooses Hannover Messe for a world premiere: the launch of CodeMeter Cloud, its comprehensive answer to licensing in the cloud. Extreme security, utmost scalability, high performance, complete interoperability, and maximum flexibility are its identifying traits, all to be discovered at Wibu-Systems’ exhibit: Hall 6, booth C15. For decades, software licensing has been associated with hardware and software-based solutions. As cloud services surge to new levels of popularity thanks to the unparalleled mobility and device independence they provide, it is inevitable that cloud licensing will represent the future of this industry. With its sophisticated architecture and yet easy integration into the workflows of any ISV, CodeMeter Cloud is the game changer the market has been waiting for. The CodeMeter Cloud solution comes with access to a highly secure server in the cloud, operated by Wibu-Systems. 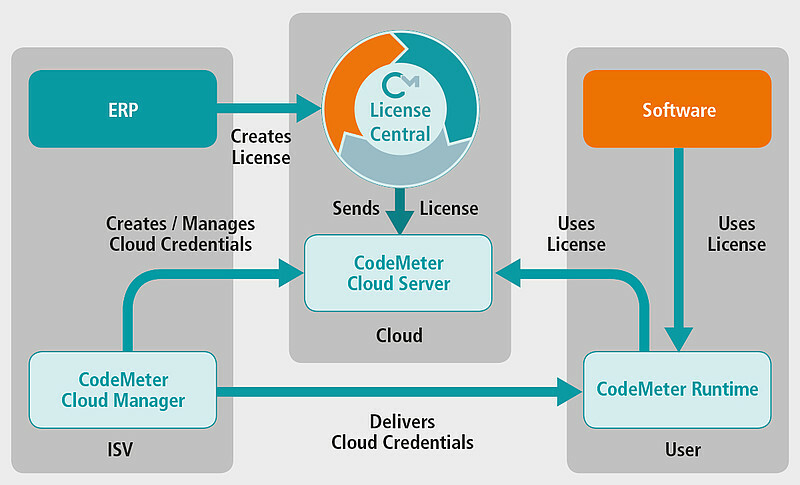 Licenses for the software, protected with CodeMeter Protection Suite using an array of encryption and authenticity tools, can be created and delivered through CodeMeter License Central, the cloud-based database derived solution for license creation, deployment, and management. 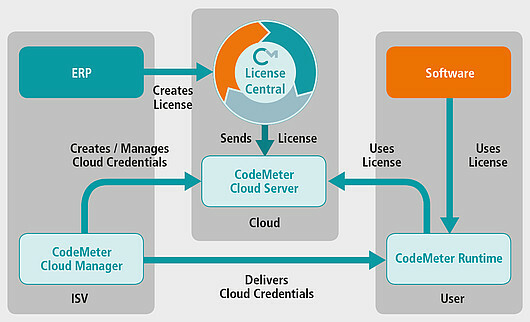 Thus, all connectors that interface ERP, CRM, and e-commerce systems with CodeMeter License Central are also available with CodeMeter Cloud and can streamline license administration tasks within the back-office workflows. Licenses are stored in CmCloudContainers, special containers that remain on the CodeMeter Cloud server. As such, users can access them from anywhere without the need for local containers. To do so, CmCloudContainers are protected by encrypted credentials that are saved locally, and that are checked against the cryptographic keys stored in the cloud and used to verify the license’s validity. How often and at which level such authentication requests are made can be configured as fine-grained as required. From an operational standpoint, ISVs can either assign licenses to CmCloudContainers via a web application or integrate this process into their own workflow and rely on CodeMeter Cloud Manager to issue and manage the set of credentials. Licenses can be updated, renewed or deleted in the cloud by the software publishers at any time; the end users would simply find the new or updated license (or indeed no license) ready for them in the cloud. In a network usage context, any unused license purchased by a customer would be immediately available to any of their users, as it would be released automatically as soon as another user has stopped using it. In terms of performance, CodeMeter Cloud has been designed to deliver high performance from the ground up: An in-memory database has been built into the web solution to interact with a NoSQL database and ensure the highest performance for many concurrent requests in a highly secure environment. Each CodeMeter Cloud Server instance consists of three distinct layers: The Load Balancing layer distributes license queries reliably, efficiently, and with the flexibility to guarantee true scalability, even if loads of requests arrive at the same time. The Service layer is in charge of the actual license management and the creation and allocation of the cryptographic keys. The Persistence layer assures performant data integrity and persistence for multiple users.